Svenne & Lotta- Det är en härlig feeling 1980 Swedish Lp out of print..
****The Hep Stars-Hep Stars 1964-1969 Re. 1983 Available on Swedish Cd. ***Hep Stars-Basta 1990 Released on Swedish Cd. New Svenne Solo album review follows at bottom. career as a member of the Hep Stars in October 1964. Although he did sing as a backing vocalist , Benny has always been first and foremost a keyboardist. What Benny did with the Hep Stars was play keyboards,write songs, and sing background vocals. Benny played with Hep Stars till mid- 1969. In late 1969 Benny started working regularly with Björn Ulvaeus . (SEE Björn & BENNY). is preserved on Swedish CD. Generally it's Benny's songwriting that makes the Hep Stars of interest to us today. Benny was a good songwriter even in the 1960's , though the lyrics for his Hep Stars songs (written by him or other Swedes) are usually preety bad. though they were the most commercially successful of the various acts that were progenitors of ABBA. The Hep Stars continued on at various times, and in various lineups, as you will see in this discgraphy, but Andersson never played with them, and they recorded little of interest after Benny left. in 1969, Svenne and Lotta Hedlund also left the Hep Stars in 1969, but they have reunited with the Hep Stars a few times....,but mainly have worked as duo since 1969. Svenne put out a new solo CD called , Svenne Hedlund-Svenne Sings Elvis In Memphis on March 24, 2010. The list above lists, all of the Hep Stars singles released prior to when Svenne, Lotta and Benny left the group in the mid 1969... 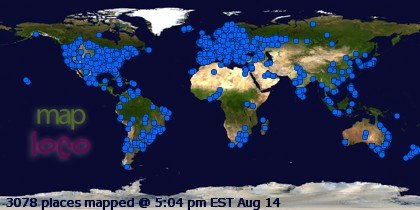 The tracks in red were studio album tracks released as singles. The tracks in blue were not found on the Hep Stars studio albums at time. of release. Though, the first major Hep Stars compilation-PA SVENSKA released in 1969 featured 10 of the tracks found on the Hep Stars singles. All of the A and B sides on the singles were compiled over time and all are now available on CD...The best place to get most of these singles is on the HEP STARS- Cadillac Madness - 40 Years * 40 Hits * 1964-2004 2CD set. Benny Andersson joined the Hep Stars in October 1964 .They had made just one single ( "Kana Kapila") with their first organist , Hasse Ostlund prior to Benny's joining. On, This, their debut album , the Hep Stars would feature Svenne Hedlund on Lead Vocals, Janne Frisk on Guitar and backing Vocals ,Benny on Keyboards, Christer Pettersson on drums and Lelle Hegland on Bass. 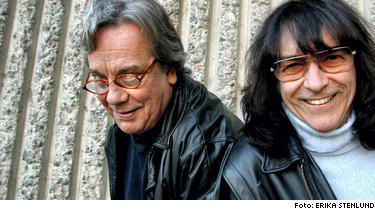 The group's early recordings are more group efforts - Benny and Svenne do not dominate the group as much as on the later records. The group hit it big in Sweden right after Benny joined. A raucus Who-like TV debut would help the group top Sweden's charts with" Farmer John", "Cadillac",and "Bald Headed Woman" and hit the top five with "Tribute to Buddy Holly". 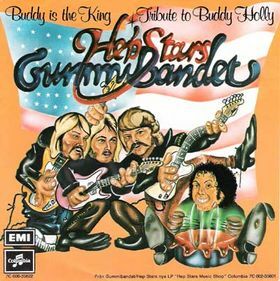 All of the these can be found on the CD version of this, the Hep Stars first album.Most of the songs on this album are covers of American and English rock songs. than ABBA's live album, albeit, with far worse sound, material and musicianship. Most of the material played here are covers -a limitation which would drive Benny to write material for the group. Benny mainly plays electric organ here. there is only one song written by Benny here. 4. What Do You Want To Make Those Eyes For? An important album. The Hep stars have a slightly mellower sound here. This is probably the most consistently good Hep Stars album. This is where Benny emerges as a full fledged songwriter and his talent is already blossoming. The CD version of this has eight songs written by Benny and or Björn. (Six of which were on the original LP.) The first song Björn and Benny ever wrote together the exquisite "Isn't It Easy To Say" is here. A real standout track is one of Benny's solo compositions ,a #2 Swedish hit called "Consolation" -"Consolation" is seemingly the lament of a dead (or metaphorically dead) lover . Benny's organ melds well with the band here. The song's chorus -hook soars to the sky on the strength of the band performance. influenced "Sound of Eve" which features some lovely piano and actual birdsong (A promo bio of Benny at the time indicates that Benny already had developed an interest in bird-watching). The backing vocals on "Sound of Eve' are ambitious. This song has never been compiled elsewhere...It's good example of one of those cool obscurities you can find in ABBA's sixties solo work. international hit-"Sunny Girl"(written by Benny) is found here as a bonus track. The other famous song is "Wedding" a wedding march written by Benny and Svenne that later was played by Benny at Björn and Agnetha's wedding in July 1971.
hit "No Time ' (written by Bjorn with Martin Dean)is done here at a less sleepy pace than the Hootz's original. The best of the non-Benny compositions is the anti-war song "Last Night I had the Strangest Dream" which like a lot of songs here has some solid three (or more) part harmony on which Svenne sings with Janne, Benny and or Felle .Felle was the the Hep Stars road manager, who sometimes sang and helped out on Bass Guitar. The Swedish version of the "Last Night I had the Strangest Dream" can also be found here. (The Hep Stars often did English and Swedish versions of the same song). 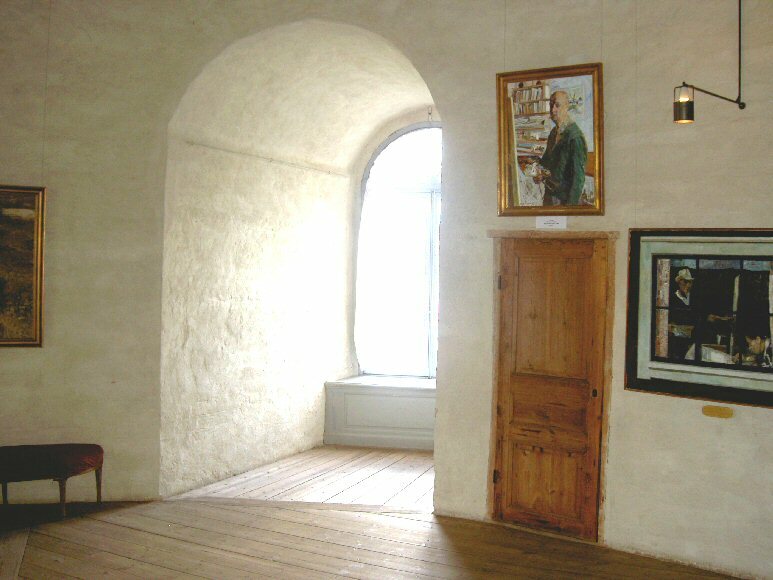 The 1967 B-side recording of Benny's "It's Nice to Be Back Again" closes the CD it was later recorded in a (better) Swedish version by Frida in 1971. Christmas with the Hep Stars. Festive, no doubt. This is the first ABBA related Crhistmas album.. This was reissued on CD for Christmas 2001 with a new less busy cover..The album is reissued with a new track listing that includes a couple of previously unreleased tracks as well as the omision of 3 of the tracks -( "Nu Är Det Jul Igen", "Johanssons Boogie-Woogie Vals" and "Hej Tomtegubbar" )..The CD opens with "Christmas On My Mind" a fairly good song that's also on the HEP STARS 1964-69 Cd. This album also includes " , "Nu tandas tusen juleljus" and a humourous version of "Jingle Bells". Track listing for updated CD..
Stars studio albums to be reissued on Cd. But the CD is no longer easily available . On this album session musicians filled in for Janne, Christer and Lennart. (-a common if cruel practice in the 1960's) .An American producer, Steve Clark, was brought in to produce the album. There were no rock and roll covers and few self-written tunes. So, in a lot of ways this really isn't a Hep Stars album.This album wa not as sucessful as earlier Hep Stars albums.. The original album featured a lot of songs mainly written by others supposedly in the soft rock vein. Benny did writethe title track which also was released as a single....The bonus tracks included many of the songs on Songs We Sang 68 CD-(if you have this Cd you could probably get by without Songs We Sang 68). in Sweden in the arms of Svenne Hedlund. In Lotta's honor, the album starts out with a medley of Soul cover numbers (mostly) recorded at Swedish folkparks in 1968.Among the covers are "You Keep Me Hanging On", Let It be Me" and two versions of Sam Cooke's "Shake" .This live stuff is so-so, most interesting is "Groovy Summertime" which has a lot of cool vocal effects and backing vocals. "A Flower in My Garden". It's a good two minute song sung by Svenne with a Carl Wilson-esque slur and ends with a cool two- note effect. The bonus tracks include the Hep Stars last singles going into 1969. The bonus tracks include the folksy B&B song, "Speleman" .Also included are The b-side to "Speleman" - B&B's "Precis Som Alla Andra" ,and two 1967 single sides written by Benny with Svenne called "Like You Used To Do" and "She Will She love You" . CD Bonus tracks: Mot okänt land, Någonting har hänt, She will love you, Like you used to do, Let it be me, Grooy summertime, Tända på varann, I sagans land, Speleman, Precis som alla andra, Speedy gonzales, Är det inte kärlek, säg ? The Hep Stars were having troubles staying whole at this point. Their main problem was that they owed money to the Swedish taxing authorities , but also Benny, Svenne and Lotta were itching to try something new. So a totally new studio album wasn't in the offing for 1969 and instead a compilation of the Hep Stars Swedish tracks was put together. This includes includes both recent and older material., most of the songs had not been available on Lp at the time...Svenne and Lotta 's Wedding Portrait is on the cover. This album was never released on Cd. 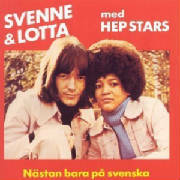 This was the last Hep Stars album before the tax problems and career changes led Svenne, Lotta and Benny to leave the band. The last concert with Benny was August 31, 1969. The rest of the Hep Stars continued on for a bit , with a new singing duo in the early 1970's/ Svenne and Lotta continued to occasionally work with Benny in concert till 1973. Benny neverworked with the Hep Stars again....There wasn't aninmosity it was more that Benny always found it necessary to move on to the next thing. S&L to the Polar label. Svenne and Lotta would get together for reunion album with Janne, Krille, and Lelle in in the 1989 Hep Stars album called ACT II. Thus is a compilation album seems to feature mainly songs found on early Hep Stars singles, that were not necessarily released on the Hep Stars studio albums ..All of the songs were later released on CD...This album would have more sense had it been released in 1965 0r 1966.. THE HEP STARS in the early 1970's -WITHOUT SVENNE , BENNY or EVEN LOTTA! Some of Information on this very obscure part of Hep stars history is sourced from Elmar's ABBA Site. The second Svenne and Lotta album-the last before they got signed by Polar records...This one features their version of B&B's "Lycka"
A 1973 compilation of the mostly soft rock work soley by the late sixties Hep Stars..
Includes B&B's disco song -"Funky Feet" and a English version of B&B"s 1971 song-"Tänk Om Jorden Vore Ung" which here is called "If We only Had the Time". A hits compilation of their work as a duo. Recently a reader informed me a little more about the Hep Stars/ Gummibandet era. In the mid 1970's three of Hep Stars were in a popular dance/rock band called Hep Stars/Gummibandet. They sang rock and roll classics and other stuff. The band 's guitarest of time Bernt Liljegren has a homepage with many photos from the era..
Little if any involvement from B&B -sort of a disco album...Their last album on Polar records.. Released on lp in 1983 and on Cd in the early 1990's this is one of the best compilations of the Hep Stars music. . It's 32 tracks make a persuasive case for the band's importance as "the Swedish Beatles" . All the songs here except for one include Benny on keyboards . The Hep Stars first hit (included on this CD) "Kana Kapila" had a different organist. Most of the important EMI Hep Stars A&B sides are included on this Cd. Some of the Lp liner notes seem to have written in Swedish by Roxette's Per Gessle (before there was a Roxette!). The sleeve reminds me of one of those old Beatles Parlophone LP sleeves of the 1960's. groups-The Tages and the Shanes. The only flaw with this set is that it leaves out two of the four of the songs that B&B wrote together for the Hep Stars. Hep Stars-Basta September ? 1990 swedish CD (reissued again 1995 with different cover) Available on Swedish Cd. Skip this one. I think I'd rather go from Waterloo to Duvemala. This Cd includes some Hep Stars tracks along with Svenne and Lotta recordings. This set doesn't do either group justice. This Cd does at least include Svenne & Lotta's Swedish version of "Bang-A-Bommerang' which uses the same backing track as ABBA's. This also has S&L's Swedish version of "Dance (While Music Goes On). Annoyingly the handful of other( non- ABBA )Anderson-Ulvaeus songs Svenne & Lotta recorded such as "Funky Feet" and" If We Only had the Time" are not to be found here. Instead ,we get Svenne & Lotta's later 1980's work such as the absymal "Rolls Royce". A cd compilation of the mostly featuring the Hep Stars Swedish material. Hep Stars-Basta 1995 Available on Swedish Cd. early Rock and Roll covers. Yet another one disc Hep Stars compilation of music from the 1960's . It includes, " Är det inte kärlek sä" a rare Swedish version of "Little Green Apples". This album includes most of the Hep Stars Swedish top ten hits, this set includes four songs cowritten or written by Benny. Finally a fairly good compilation of the work of Svenne & Lotta. Svenne & Lotta were the lead singers in Benny's 1960's band -The Hep Stars. The title means "Ten Golden Years"Svenne & lotta continued to work on and off with Benny during the early 1970's and were signed to ABBA's label Polar music. Svenne And Lotta recorded some songs written for them, some oldies covers and a few B&B songs. They recorded the first Swedish versions of ABBA songs-"Bang A Boomerang" , "Dance (while the Music Goes On)" and "He Is Your Brother".-all of which are included here ...One of the more interesting recordings here is the B&B disco track "Funky Feet" which was attempted but never recorded by ABBA. Benny Andersson's old band is releasing a new double CD compliation featuring all the Hep Stars hits from the 1960's, a few albums tracks as well as two new tracks recorded recently- 'Love Is Coming Back', and a new version of the Hep Stars 1965 hit, "Cadillac", not surprisingly Benny does not appear on the new tracks. Nor for that matter do original members Christer Pettersson and Lelle Hegland appear on drums and Bass. Not surprisingly, there does not appear anything recorded between 1970 and 2002 on the set. This is probably as good or better than the previous 2 album set 1964-1969 .It might have been to cool to have included "Someday Someone" on here instead of just in the Cadlllac Madness book. This CD set does include "It's Been a Long Long Time" " Det Finns En Stad" and "Sagan Om Lilla Sofi "which are not easily available elsewhere .. This features four previously unreleased studio recordings by The Hep Stars, recorded in 1966 and 1967. The title track is featured twice first in a spinet version and then in a more ABBAesque version. Why hasn't this listenable track released before? Well the main reason is that the melody for "Someday Someone" was used again in a later Hep Stars track...The other tracks are a cover of the Four Seasons' hit "Rag Doll" and a psychedelic group written instrumental called, Massa's Mess. (This page was last updated in June 2006) For more recent albums visit our Latest RELEASES page, or if I have totally lost interest, have died or simply havent bothered to update this site ,visit the ABBF record site , or the ABBAMAIL news page for info about latest releases. A New Svenne Hedlund solo album that was recorded at Sun Studios Memphis& Nashville in May 2009. . Mostly INCLUDES songs originally recorded by Elvis. James Burton, DJ Fontana, and Mats Persson play on the CD. Hep Stars drummer and co-founder Christer Petterson (KRILLE) died in August 2006 , age 63 of a liver related illness.. He is the first of the Hep Stars to pass away.. The excellent photo above is a recent one by Erika Stenlund, of the Swedish newspaper Expressen. Remember Lelle and Jelly and Kelly!